Banfi is the largest wine estate in Montalcino DOCG (over 280 ha) and the largest producer of Brunello di Montalcino. Among few Brunello labels they make, “Poggio alle Mura” is their best. 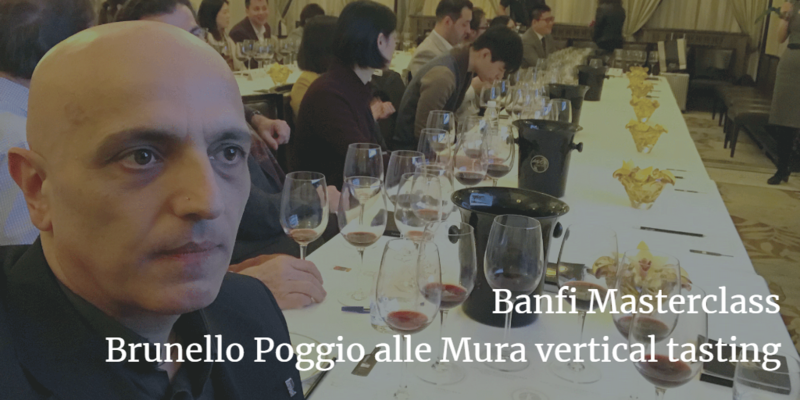 Poggio alle Mura 2013, 2010, 2006, 2004, rare 1999 and extremely rare 1997 were tasted. The Masterclass was part of the tour to celebrate Banfi 40th anniversary. It was 1978 when John and Harry Mariani acquired the first lands in Montalcino and planted the first Sangiovese vine. Banfi in just four decades, has achieved a beautiful story by creating a brand known throughout the world and linked to the growth of Montalcino and its territory.